Are you racking your brains for original gifts for all the family? Choose something that will be truly enjoyed by the person receiving it, rather than a well-meaning token. No surprise that we're thinking of raw honey. Here's our guide for matching the perfect variety to each personality. 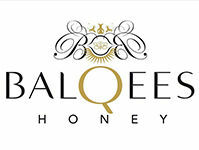 Only the best for the Queen bee of the family. Royal Manuka from New Zealand is harvested from bees in remote and pristine countryside. Busy bees that work as hard as your Mum! For a luxurious twist on a hot drink at the end of a busy day, stir a spoonful of this raw honey into warm water with a squeeze of fresh lemon and a slice of ginger. This bioactive honey from New Zealand contains antibacterial and antimicrobial properties so it is highly valued just like Mum. Go on, she deserves it. For the Dad who loves his food and exploring different tastes and flavours, a gift of Raw Honey, Cinnamon and Sesame Seed fusion will add something special to his morning toast. The rich cinnamon flavour balances the sweetness of the honey perfectly, while the crunch of sesame seeds adds an exciting twist. Once he's tasted one fusion there are plenty more to discover - so his next present is sorted! No surprise that children like sweet things, so a gift collection of little pots that fit perfectly into their tiny hands will keep them quiet for at least five minutes! Raw honey is the only sweetener with health benefits so they can indulge in an extra boost of goodness. Nomadic beekeepers harvest Sumar honey from Yemen’s Hadramout region like they have for centuries; in fact there's a wealth of stories about each jar from around the world. Pack into lunch boxes or for long journeys in the car - just remember wet wipes! Elderly relatives can cause a conundrum for present picking as they've collected everything they need over the years. How about a jar of Raw Yemeni Sid'r, a classic honey with a robust flavour of butterscotch and caramel tones. Smooth and thick in texture it's not just great tasting, it's extremely good for you too. This rare, raw Sidr honey is considered the best in the world from the Sidr trees in the remote Wadi Do'an in the Hadramout region of Southern Yemen. The ancient Sidr tree is famous for its potent medicinal properties and the nomadic beekeepers harvest the honey naturally using centuries-old traditional methods bringing it to you in the purest form available. What better way to show your love and respect for those older and wiser. Stunningly smooth in taste and appearance. We're not just talking about your cool cousin but a jar of raw honey from the remote mountain meadows of Kyrgyzstan. Pure white, it glistens in the jar inviting you to dip a spoon into its depths for a floral mouthful. Raw White Mountainous Honey is also a healthier way to top up energy levels when on a busy schedule, as well as a very desirable accessory in the kitchen of the style conscious. When their passport is so full of stamps that nothing will impress them, try Raw Catay honey. It has a taste that takes you to far flung places, as many a back packer has discovered venturing to South America. Off the beaten track, the Caa-tay flowers grow in swampy marshland in the middle of the Parana River in Argentina. This extremely rare honey is harvested only once a year and the hives can only be accessed by boat. This jar of floral-tasting, amber-gold is all the more special when you consider the journey it follows. This honey and its story will get the explorer in the family reaching for their atlas. She arrives with a smile, always has a listening ear and is the first one on the dance floor at a family party. We recommend Orange Grove Fusion for your fabulous aunt. Just like her, it's a jar of sunshine. It contains the zest of a whole host of different types of oranges combined with raw Sidr Honey from the remote countryside region of Doan in Yemen. A tangy, fragrant citrus treat drizzled over yoghurt or labneh, it also contains extra levels of vitamin C which is good for anti-aging and boosting the immune system. You're never sure whether believe your uncle's stories. It's very hard to impress him as, according to him, he's lived life to the full! Introduce him to the extraordinary Yemeni island of Socotra via a jar of its beautiful raw honey. Socotra has an amazing range of biodiversity and a third of its plant life is totally unique to the island. A spoonful of this rich, raw honey will transport him there. The offbeat taste of Raw Socotra Honey is the perfect partner for him; smooth, full-bodied, complex taste with deep, smoky, toffee notes and a slightly astringent aftertaste. A one-off just like your Uncle. It has a naturally low glycaemic index which can be good for those who have issues with sugar or insulin resistance too. The fitness fanatic in your life needs careful present planning. A last-minute box of chocolates is likely to remain untouched. When they've managed to sit down for two minutes, thrust a jar of bee pollen into their hands and watch their face light up when they unwrap it. Renowned for enhancing athletic performance, there are claims that bee pollen is "the greatest bodybuilder on earth" and has been used by Olympic athletes and bodybuilders to increase strength and endurance. It's one of nature's most complete superfoods and can be added to breakfasts, healthy shakes and energy boosters throughout the day. Express how pure your love is with Raw Yemeni Sidr Honeycomb straight from the hive. It is packed full of natural goodness, and looks so beautiful, making a perfect gift. Raw honeycomb is an excellent addition to a cheese platter so you could add an olive wood cutting board and cheese knife to your gift. Perfect for sharing. Raw honey and herbal teas are perfect partners. Choose several flavours that compliment each other. Whole foods and artisan breads such as sour dough with raw butter and honey make a lovely gift basket. Prepare a present for the perfect picnic with nuts, dried fruits and a selection of cheeses. Prepare a 'well-being' hamper with raw honey, bee pollen, propolis and a body lotion with beeswax. For the keen cook put together a kit for their favourite recipe such as pancakes. Start with a cookbook or print recipe sheet, add the pan they've been coveting for ages, then wrap up and decorate all the ingredients. Add in a jar of raw honey and wooden drizzler. As bees are under threat from all sorts of environmental issues right now, you could buy a gift subscription to a bee supporting charity. The gift of honey is not a new thing, it dates back many centuries when it was used as currency in trade and a treasured resource respected across cultures for its natural sweetness and special health properties. Raw honey's colour and texture makes a unique taste experience. Where it comes from and how it is produced lends a special story. Truly a gift from nature. We'd love to hear your gift ideas too - let us know on Facebook, Instagram or Twitter.